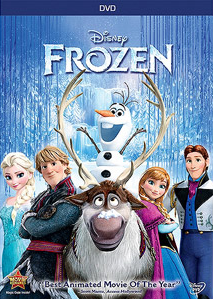 Free Frozen DVD | A Savings WOW! – Sign up for a free Top Cash Back account here. – It will direct you to the Walmart website. Make sure you use the link that’s opened up to purchase your DVD since it has a tracking link to record your cashback-eligible purchase. – Search for the “Frozen (Blu-ray + DVD + Digital HD) (Widescreen)” for $19.96 or the “Frozen (Widescreen)” for $14.96. – Purchase one of those with nothing else in your shopping cart. – You can either choose “Free store pickup” or have it shipped to you. – Within seven days $22 (for the Bu-ray DVD) or $17 (for the regular DVD) cashback will have posted in your TopCashback account. – Within 30-90 days the applicable $22 or $17 should turn payable and can be credited straight to your checking or PayPal account. Alternativley you could opt to be paid in an Amazon.com Gift Certificate, which with its current 5% bonus on top would mean you could get $23.10 instead of $22 or $17.85 instead of $17. Don’t forget to check out the free Frozen printables that we shared in case you want to throw a Frozen viewing party! I just placed my order! I am so excited. 🙂 It was out of stock online but was available for Pick up at a Walmart by me! Yipee!! !